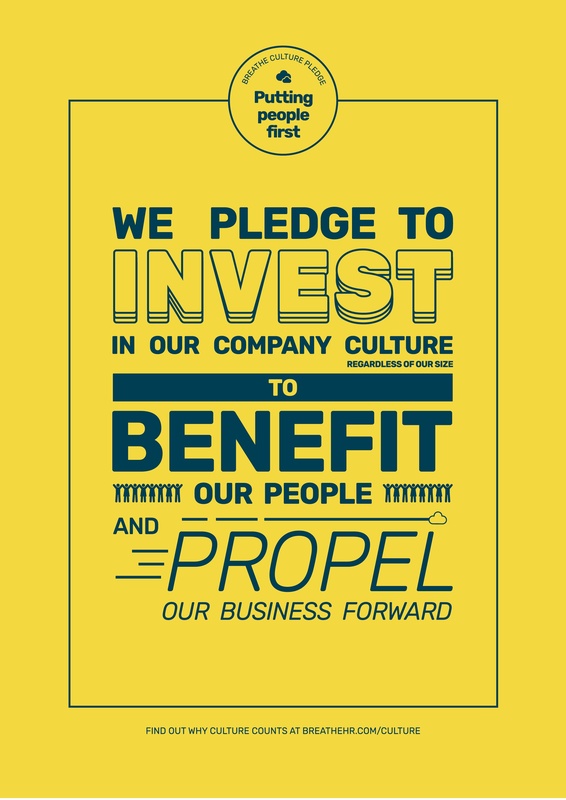 The Breathe culture pledge is a commitment that employers can make towards investing in their company culture, regardless of their size, to benefit their people and propel their business forward. 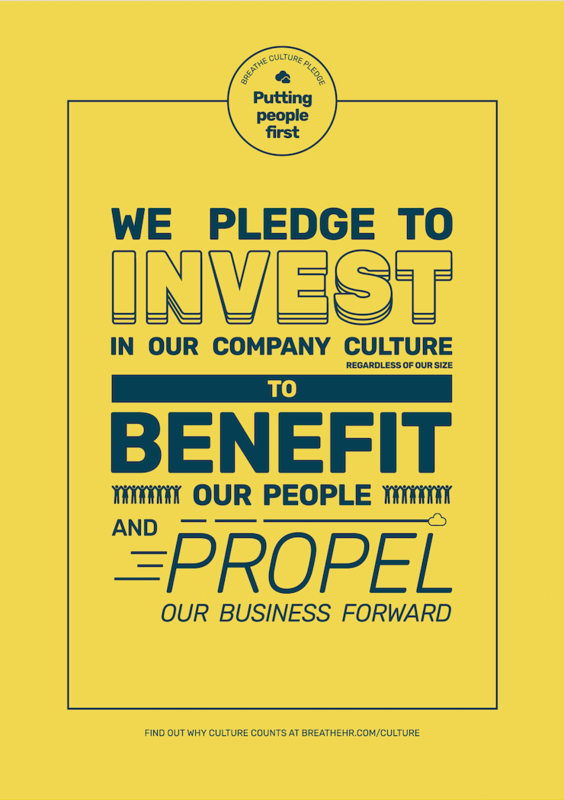 By committing to the Breathe culture pledge, businesses will receive a copy of the workplace culture strategy. The strategy offers ten practical steps that businesses can follow to develop a positive workplace culture. Company culture we hear you cry, what’s that compared to efficiency, finance, innovation, investment, marketing, productivity and skills? And what is company culture anyway? Your company culture encompasses all of these issues and more. It defines your possibilities and frames your potential. It’s how things get done in your business, it’s the feel of the work environment, it’s the way people treat each other, its your espoused values and standards, its your implicit attitudes and behaviours. Our recent Culture Economy report proves that company culture is as important as business strategy when it comes to growth and long-term success. "We believe that our strong company culture is cultivating an environment of positivity that is propelling our consultancy to even greater success. We are living proof that building a work environment where people are free to grow and develop is crucial for attracting and keeping talent. 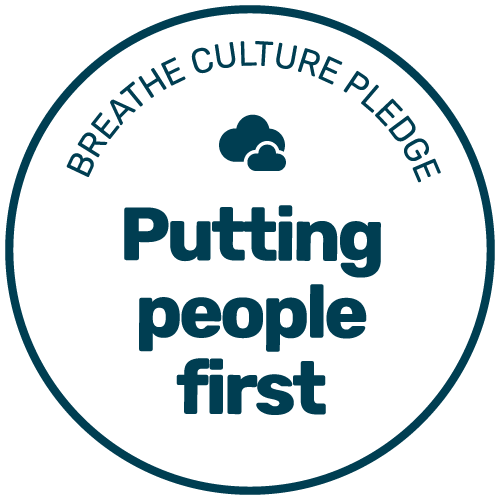 Joining Breathe's culture pledge is a public declaration of our ongoing commitment to putting our team at the heart of our business, and we hope it will inspire other businesses to do the same." "We believe that the Breathe culture pledge embodies what our organisation stands for and will help commit ourselves to improving all of our employees' welfare and wellbeing. We take our company culture seriously because we believe that people are the most important factors in business. A happy, well motivated workforce will enable any firm to attain more clients, surpass more goals and create a positive working environment that is a place to look forward to, rather than dread." Joining the company culture pledge might reaffirm how your organisation already approaches culture or it may provide a practical framework to support you on where you’d like to get to. Any organisation can commit to the pledge, whether you’re a start up, multi-national corporation, or a not-for profit. Now is the time to be bold and proactive. Company culture is not a fluffy, nice-to-have. It is the invisible maker or breaker of all businesses.